We shop the market... so you don't have to! Classic or antique cars are special so it’s important to insure something that’s special is coupled with the right type of insurance in Alberta. 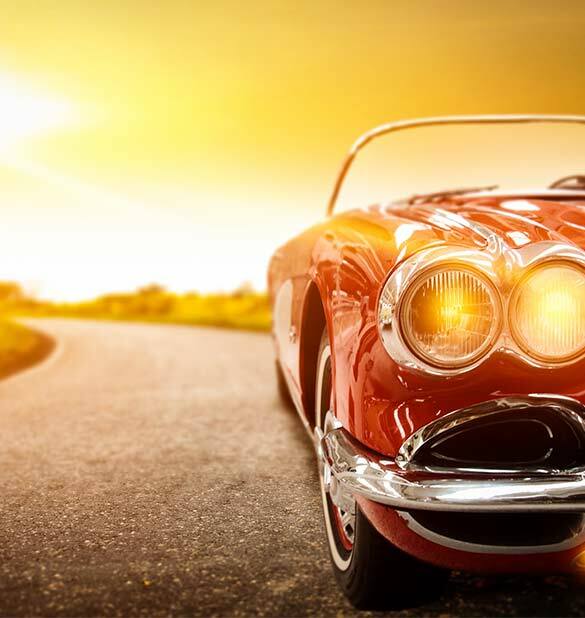 If you’re lucky enough to own a classic or antique vehicle, you’ll want to buy the best insurance available. Your vintage car is nothing like a modern day vehicle and as such has different insurance needs. Classic Car Insurance is made for antique and collectible vehicles that people buy for investment purposes as well as for pleasure. The right policy will fully protect all your interests in the car as well as take care of routine car insurance needs. Classic and antique cars are a unique asset, so important that you have proper insurance ready in the unfortunate event of an accident. If you’ve dealt with the care and maintenance of one of these incredible automobiles, you probably know you don’t want to take any chances without adequate insurance. It can take a long time to restore a classical vehicle so it’s fully road ready. You may have spent years on your restoration project, maybe even after enlisting the help of friends and mechanics. Damages that incur while your vehicle is in your garage are likely not covered in a home insurance policy, but with a comprehensive classic car policy you can rest assured that you’ll be protected. 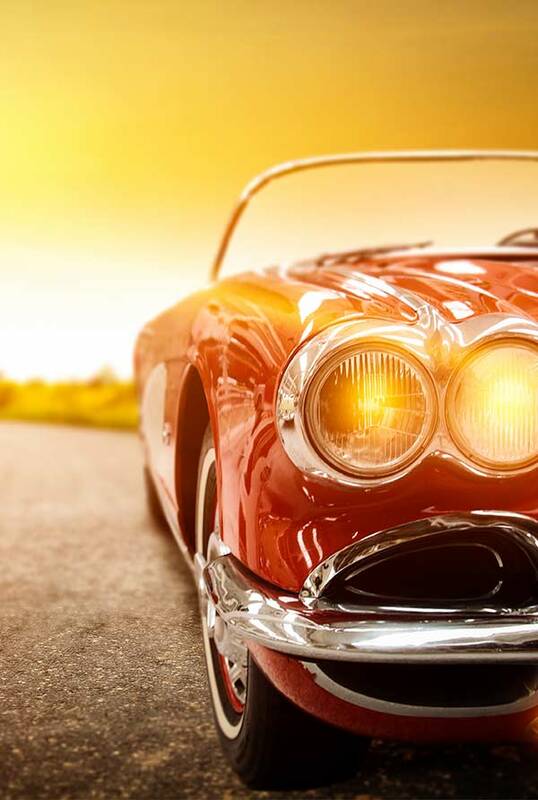 In the unfortunate event that a fire starts in your garage and your car is damaged, you’ll be able to be financially covered so that the dedication and passion you put into your antique vehicle would offer you something in addition to the memories. Together with the Calgary staff at Alpine Insurance office, you’ll find the best possible classic car Insurance to protect your investment. One of our brokers will help you come up with a customized coverage plan that you’re completely satisfied with. The definition of antique can vary based on who you ask; but usually, it defines a vehicle that is at least 30 years of age. However, your car doesn’t have to be a certain age to be recognized as a classic. It does have to be considered a collectible and a valuable vehicle. If your car meets the criteria below, it needs to be insured, which means that as a classic car owner you’ll need to meet a set of guidelines to be eligible for insurance. Your car needs to be in near original condition. Your car must be parked in a garage routinely. There is a limitation on how many kilometres you can drive the car per year, which varies based on the insurance provider. While your classic car insurance will be well suited for the unique needs that come with its ownership, classic car insurance by necessity still comes with the basics of a car insurance policy. Accident benefits: no fault insurance coverage for injuries. This can include loss of income benefits, medical fees, rehabilitation charges, and funeral expenses. Personal liability and property damage (PLPD). PLPD covers damages that you’re responsible for. For example, if you lose control of your car and it totals another vehicle, your PLPD pays. You must carry a minimum of $200,000 in coverage but most people opt for $1 million dollars. Whether you own a hot rod, collectible, or a military vehicle, you’ve likely put in some time and money to make it your own. You want to make the most of your investment, which includes getting proper insurance coverage. Your vintage car is probably different from a modern car–it’s got a different structure, includes different mechanical engineering, and has its own unique value that needs to be reflected in your insurance policy. Classic Car Insurance was created for these reasons. When you need to insure your classic car in Lethbridge, you’re going to have a long list of providers and policies to choose from. At Alpine Insurance we pride ourselves on providing our clients with the useful and accurate knowledge and advice necessary to choose the insurance policy that is best suited to your needs. Restoring a classic car can be a huge investment both in your time and in your pocketbook. You may work on your car for years and still have a long way to go before it’s roadworthy. You can choose to invest into your classic car by purchasing an insurance policy that reflects the energy you’ve put into your vehicle. When a classic car incurs damages, the cost of repairs can be astronomically higher than a similar incident that involves a modern car. For this reason, it’s wise to purchase reliable and comprehensive coverage for your classic car. At Alpine, our brokers live in the same communities that you do. We understand your concerns and we’re here to help in anyway. Have questions? Please call and ask. If you want the best possible coverage for your classic car, consider taking to an Alpine insurance professional about extended coverage. Talk with an Alpine Insurance broker in Faust about your insurance coverage options. Alpine proudly serves in the communities of Faust, High Prairie, Slave Lake, Athabasca and the surrounding areas. Learn more | Contact us! Looking for a specific location in Alberta? Moving in Together! Do I Need More Insurance? © 2017 Alpine Insurance Inc.